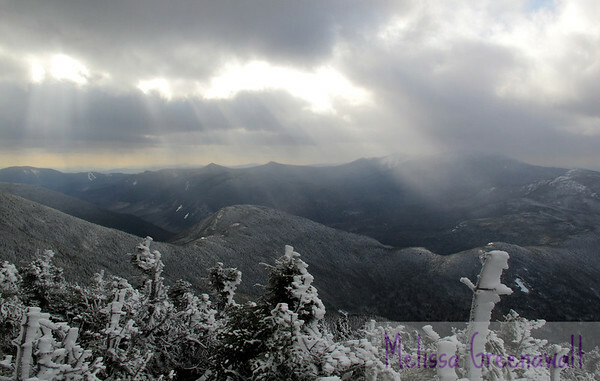 One of the many reasons I climb mountains...in any season! The view from North Twin. The Franconia Ridge is bathed in sunshine, and the low hump at the center of the photo is Mount Galehead, one of the more modest NH 4,000-footers. If you follow the ridge from Galehead's summit, you can just make out a white dot in the saddle below the summit; that's Galehead Hut. The sunrays are simply a really awesome bonus.